One way of externalising the ideas and discourses that support men’s domestic violence and abuse,whilst maintaining the language that supports responsibility-taking, is through the use of Troublemaker Cards. These cards can be used as a resource in men’s groups; with men individually; with couples; or even with women survivors individually or in groups. For the men, the questions on the cards support a double storied approach where they can begin to create new future relationships based on non-abuse and respectfulness. While there are currently 16 Troublemakers identified, one particular powerful and overarching Troublemaker, “Own-her-ship” (men’s ownership of women), is discussed in this video by Ryan Greenwell. A practice example from a men’s domestic violence group is included in which “Own-her-ship” was exposed and deconstructed which had the effect of turning around the group’s previous irresponsible position in regards to their abuse, into a group of men who appeared committed to change with greater responsibility. Click here to view Ryan’s whiteboarding document. Click here to see Ryan’s Troublemaker document. Ryan works as a group co-facilitator for Relationships Australia WA in Men’s Domestic Violence and Women Survivors of Domestic Violence, as well as a practitioner for early intervention mental health for children and families. 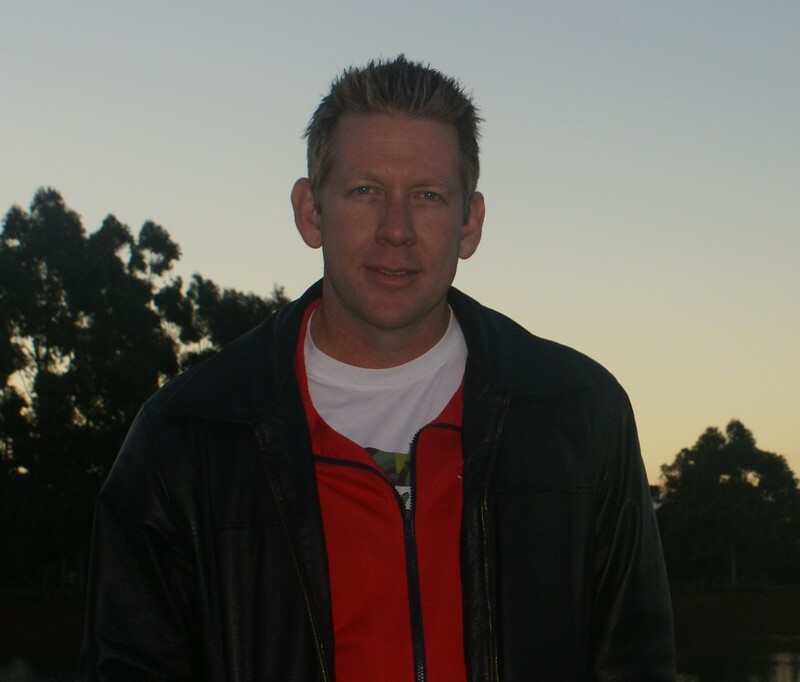 Operating in the small city of Mandurah, just 70 kms south of Perth, Ryan is a qualified Social Worker and a graduate of the Master of Narrative Therapy and Community Work in 2014 through the University of Melbourne. Over his four years of delivering and co-facilitating the program requirements in the mandated and voluntary men’s domestic violence groups, he has included interventions that have been adapted from the writings of Michael White and Alan Jenkins. Ryan is particularly interested in how discourses and language shape realities, responsibility and agency. I am searching for any papers ,external conversations about young boys acting out with violence(age 7-10) after being in domestic violent home situation. Thanks for your message and interest. I think the Troublemakers are more helpful for use with men who use violence and making changes to their abusive actions/behaviours. Of course the 7-10 year old boy should be seen as victim/survivor of DV and responded to appropriately. The Troublemakers are a bit too sophisticated also for a child. Perhaps something could be adapted for victims/survivors and children. When female survivors of DV look at these cards its important that no matter what they have done, that the man who has used violence is 100% responsible for participating in these discourses. The exploration of these ‘Troublemakers’ tends to help give women a better picture of how the man strategises his abuse and that she is in no way responsible. A common theme is that women blame themselves because 1) He blames her and 2)She is socialised into believing her self-worth relates to the satisfaction of the needs and desires of others. If I could suggest that you post your question on the Facebook group ‘Narrative practice discussion group’, there may be some other helpful responses. Many thanks for the presentation. I work with men who use violence in NSW. I like the simplicity of this approach and can think of a couple of men I think I will introduce to some of these ideas. Many thanks! You’re welcome. Just curious if you have used these ideas? If so it would be great to hear about it. Perhaps we can share email addresses through Dulwich. Hello Michiel, very nice to hear from you. Sounds like we could share some ideas and perhaps expose some local Troublemakers in your context. I will get in contact with you by getting your email from Dulwich. There will be some more ideas available to you soon as the Troublemaker Cards journal article will be available soon via Dulwich CP. Hello Ryan, I love the (seeemingly) simplistic way of deconstructing these Troublemakers in men’s (and women’s) lives. I also run DV groups in Motueka and Nelson, New Zealand, and work individually with men who have used abusive practices. Very keen to learn more about these specific narrative ways of exposing tactics that men may not even be aware of. Thank you for sharing such a creative method. I am seeing clients from both groups: men who use violence and women survivors of violence and abuse. I’m really curious to explore how the Troublemaker cards could be used with both groups. I’m also in the midst of revamping one of our group work with women survivors and I wonder if I could get in touch with you to find out more about your project and how it could be applied in my context. Thanks. Thanks for your comment. Would be very happy to get in touch and share some ideas. I happen to be on holidays at the moment so are you able to wait a little? I can get in contact with you via email in the mean time. Thanks for sharing this; very inspiring. I would very much appreciate seeing the video. Hi Tim. Did you watch the video here on the website? I can send you the power point presentation I made a also if you’re interested. Great to hear your feedback. Thanks, Ryan. hi Ryan! I work with a man who has troubles with Nerves and that has effects to his wife too. I thought that your work could be helpful to me. if it is possible I would like to study your power point presentation. thank you for the inspirational video. Hi Viki. I’m glad you found this inspirational. I will send you an email with the power point presentation. I am interested how we can best work with men individually using these cards and perhaps we could come up with some ideas with your work with this man. Thank you Ryan. I will take a look at the power point and I will contact you again. thanks again. Great material. I would be interested in taking a look at the power point. I run a DV group for men in Northern Ontario Canada. Hi Mike. Great to hear from you. I will get your email from the Dulwich Centre and send you the power point presentation. Also, if you are interested further, you can be part of a small project of unearthing and developing more Troublemakers based on your local context.